Are you reading or having a poem read at your wedding? If so, I’d love to know the poem you choose. I just adore this love quote. Many of our clients have incorporated this quote into their wedding stationery. I have to say I adore ANTHROPOLOGIE. 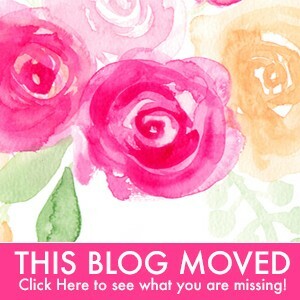 The dresses and home decor and more! 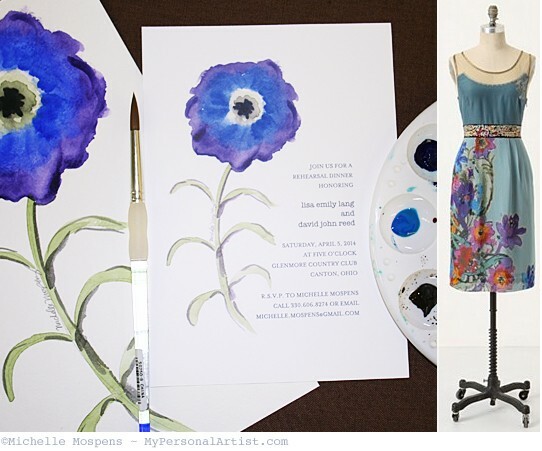 When I laid my eyes on this dress, I was instantly inspired to paint outside the lines and give the flower my own twist. 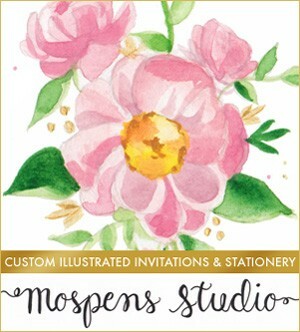 I’ve been hand painting invitation motifs for over 12 years now. This is the first “abstract” style painting I’ve done. What a fun change. Today, when I logged into Twitter.com I found Leigh’s (from BRIDES) tweet about THE dress! So, I immediately had to share my love for this fabulous dress also. Leigh’s right, what a perfect dress for a wedding rehearsal dinner! 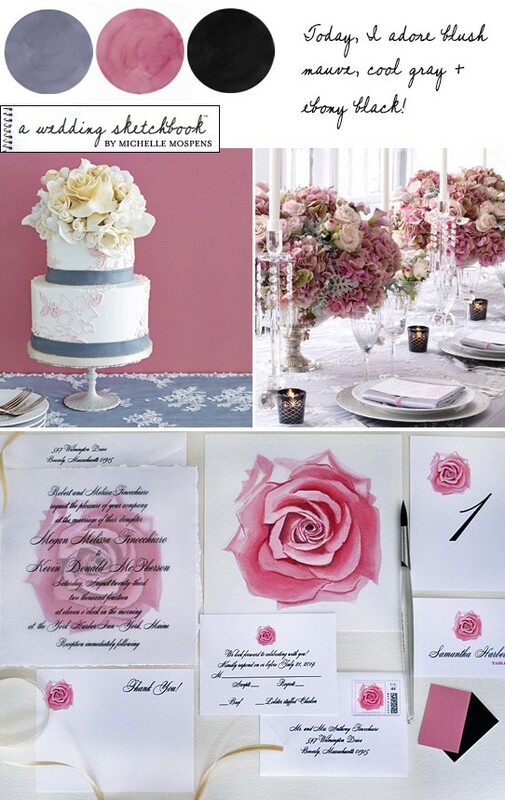 One of our brides sent over this color combo from theknot.com. Blush pink and ebony! The gray is also a perfect addition! I felt our recent “Watercolor Rose” custom wedding invitation + stationery we created for our client / bride Megan were a perfect match to this color combination! Don’t you just love this color combo? Romantic and elegant! 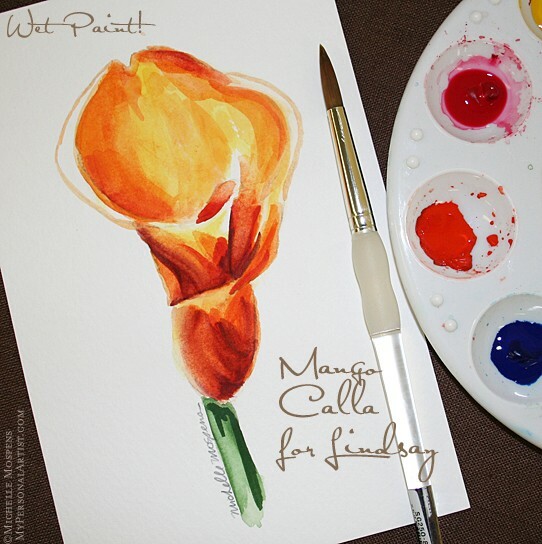 I love when brides send color photos for invitation inspiration! The wasabi green and pumpkin orange images at the very top of this invitation inspiration board are from TheKnot.com. 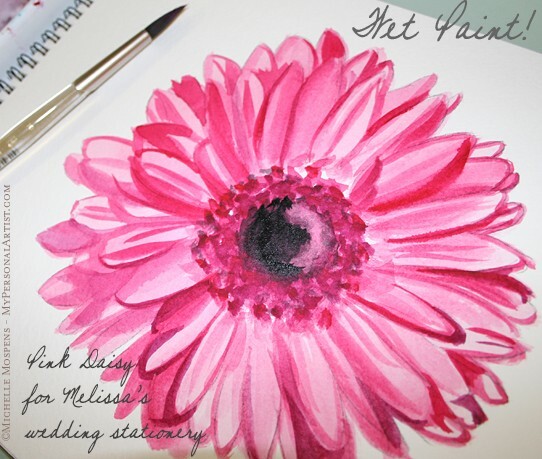 I quickly grabbed my paints and whipped up this new “painted daisy” wedding stationery. Who said fall wedding invitations have to have leaves. Think outside the box. And who doesn’t love daisies? 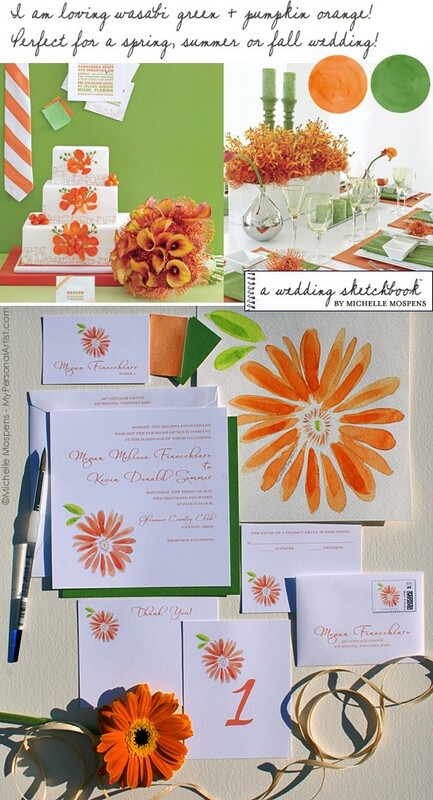 The colors green and orange are perfect for spring, summer, or fall weddings! 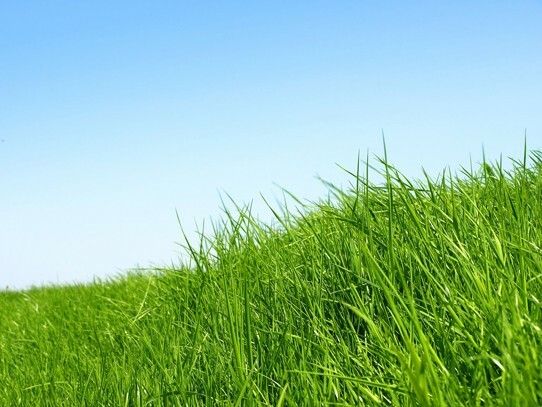 So fresh and inviting! Don’t you think? Wet Paint! 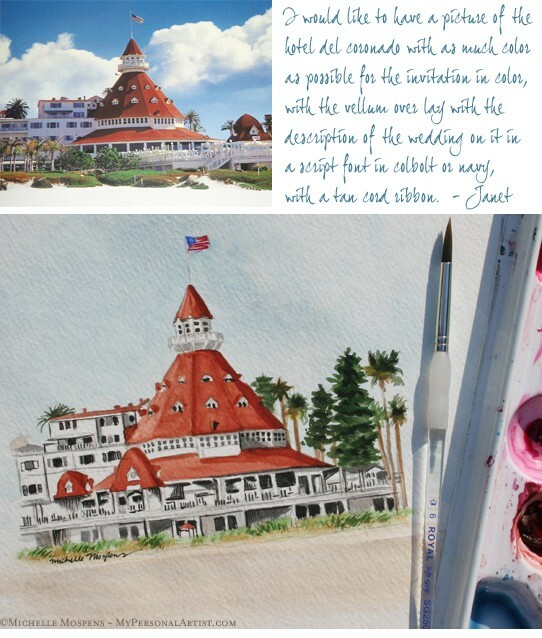 I just finished this custom hand painted Hotel del Coronado painting for Janet’s daughter’s custom wedding stationery. Weird thing. I painted this before I received the photo (first photo above) from Janet. I’m glad it is almost identical to what she sent. Lucky because this custom painting almost took 3 hours. I always enjoy a custom made wedding invitation design! 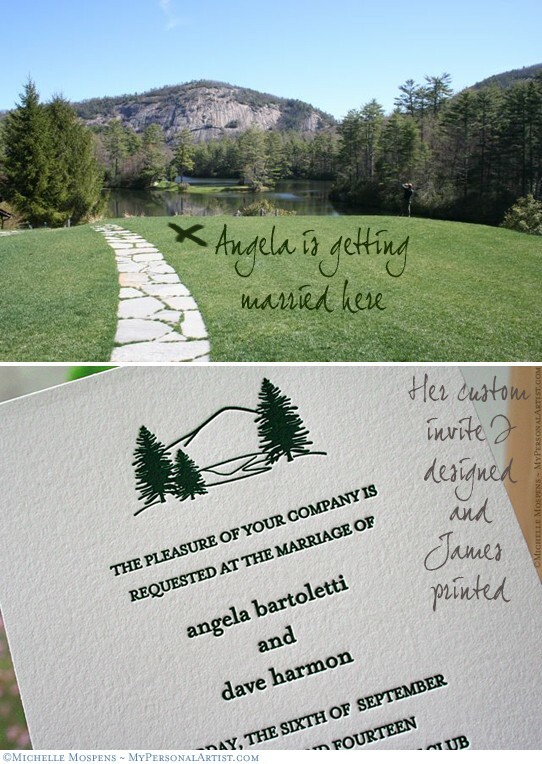 Angela approached me and requested a custom designed mountain themed letterpress invitation based on the photograph above (top photo). She wanted a simple hand drawn invitation design. Her save the dates (not shown) featured the same mountain themed illustration in white on an all chocolate brown background. Next, I’ll upload the art to my zazzle.com account so she can enjoy the hand drawn mountain illustration on her stamps also. PRIVACY: Angela’s real name, date, etc. information is not shared in the photo above, another plate was run to show you the design I created. Our clients ‘before the wedding information’ is always kept private here at My Personal Artist. 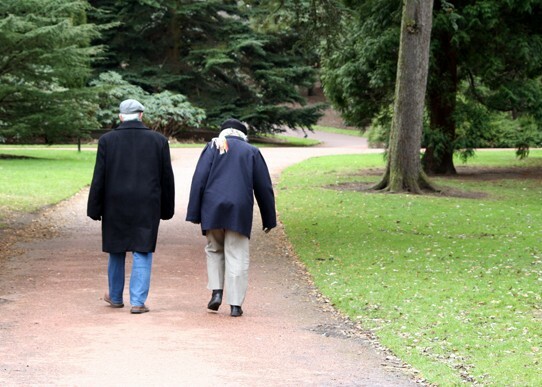 It is very important to us to protect our clients privacy, ALWAYS. Please note custom designed invitations take several months at My Personal Artist due to the high volume of requests. Several clients are “in line” waiting patiently for their creations. We never rush a custom order because we simply can not push our other clients aside to assist your rush.Â Please be sure to plan ahead. We are now accepting requests for custom designed invitations for 2011Â weddings and events only. 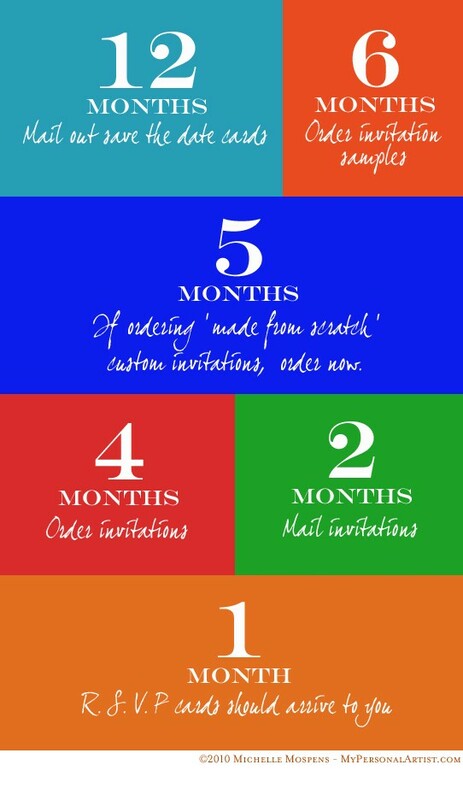 For custom designed invites we highly suggest you contact us 4-6 months before you want your invites in YOUR hands. If you did not plan ahead you can still order from our exclusive SIGNATURE COLLECTION , LETTERPRESS COLLECTION or our fun PRINTABLE COLLECTION.